Sergio Perez also known as "Checo" Perez is a 22 year old Mexican driver racing in his second season in Formula 1 with Swiss team, Sauber Ferrari. 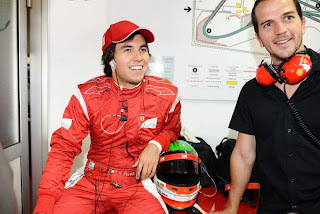 Sergio is a younger brother to Antonio Perez, NASCAR Corona Series champion, Checo is part of the Ferrari academy & backed by Mexican telecommunications company Telmex. Sergio Perez's career started in 2004 when he entered the United States-based Skip Barber National Championships. 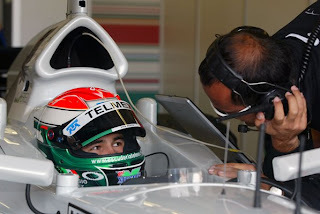 Checo raced for a team sponsored by telecommunications company Telmex - which would later become his main career sponsor. Perez finished 11th in the overall championship standings and impressed everyone throughout the campaign. In 2005 the 15 year old Mexican youngster moved to Europe to chase his dream of becoming a racing driver. He entered the German Formula BMW ADAC series for two years racing for Team Rosberg - founded by former Formula 1 world champion Keke Rosberg. In the first season Checo finished a solid 14th & in his second year improved into an impressive 6th posistion in the championship standings. 2006 saw Sergio Perez represent his country in the second season of the A1 Grand Prix season. 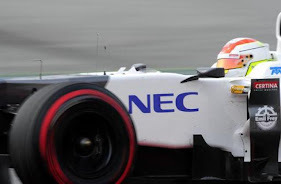 Perez raced for A1 Team Mexico and was the third youngest driver in the championship but managed to help them finish a respectable 10th in the championship out of 24. A year later saw Checo enter the British Formula 3 Championships with T-Sport - National Class. Sergio Perez dominated the whole campaign winning the drivers championships with ease. In the process of doing so Perez won 2/3s of the races & a similar proportion of the pole positions. The Mexican & T-Sport demonstrated incredible reliability only not completing to Grand Prix. 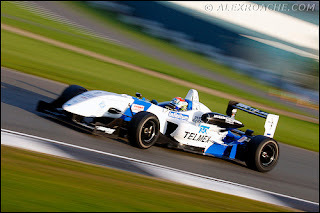 For the 2008 season Sergio maintained his spot in the British Formula 3 Championships with T-Sport but graduated up into the Premier Intentional Class. Checo continued his great form out of 2007 leading the championship in the early part of the season but eventually finished a credible 4th. 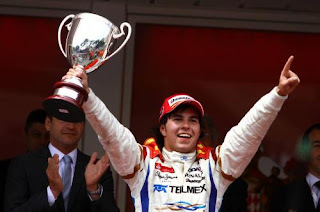 Sergio Perez then entered the 2008-2009 GP2 Asia series with Campos Grand Prix partnering Russian driver Vitaly Petrov. The young Mexican once again demonstrated his impressive credentials winning from lights to flag. Checo also made history by being the first Mexican driver to compete at this level of racing since Giovanni Aloi who raced in Formula 3000 in 1990. Perez went on to add another win at Losail during the sprint race in Qatar. 2009 saw Sergio enter his rookie season in the GP2 main championship feeder series with Arden Intentional. He was partnered with fellow Formula 3 graduate Edoardo Mortara - an Italian racing driver. Perez was impressive throughout the entire season picking up a best result of 2nd in Valencia. Checo finished 12th in the championship standings which impressed teams throughout the paddock. 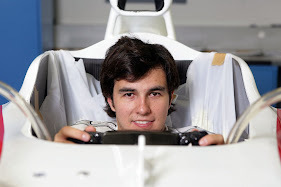 Sergio Perez was selected by Barwa Addax GP2 Team during the off-season to contest in the GP2 Asia series for them. Perez performed well and impressed the GP2 front running team which meant they offered him a seat for the main championship season in 2010. Checo won 5 races and finished 2nd in the championship standings behind GP2 veteran Pastor Maldonado. 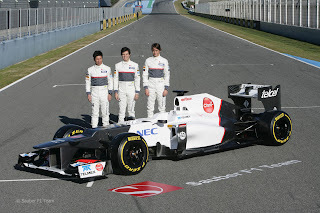 In October 2010 Sauber announced Sergio Perez would replace highly experienced German driver, Nick Heidfeld for the 2011 season. Perez also brought along the Mexican sponsorship of Telmex - who he first raced for in 2004 at the beginning of his career. Checo was only the 5th Mexican racing driver to compete in Formula 1 and the first since Hector Rebaque in 1977-1981. The 2010 Spanish Grand will forever be in the mind of Sergio Perez for good reasons. The Mexican racing driver picked up his first career points at Barcelona finishing 9th. This collected Checo & Sauber 2 points in the championship & to make it even sweeter Perez finished 1 place in front of his more experienced team mate Kamui Kobayashi. The 2011 Monaco Grand Prix will also be remembered for Sergio Perez but for more negative reasons. 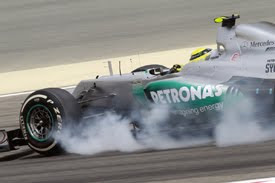 Perez exited the tunnel in Q3 when his car hit a high spot on the track and he quickly lost control of the car. The Mexican driver was helpless when the Sauber headed towards the barrier. Perez's crash caused a red flag and it was obvious Checo wasn't in a good condition. He had suffered concussion and a bruised thigh. Sergio was unable to race in the Monaco GP & the Canadian GP. Checo made a swift comeback after his huge accident and picked up a season best 7th in changing weather conditions at the British Grand Prix. Despite this highlight it was said the Perez was still suffering after his crash in Monaco. This was made obvious with a string of poor results in Hungary, Belgium, South Korea & Abu Dhabi to name a few. On the 28th of July Sauber announced that Perez would retain his seat at the team alongside Japanese crowd favourite Kamui Kobayashi. Sauber tested well in Jerez & Barcelona posting good qualifying lap times, but also having strong race simulation pace. The 2012 season opening Grand Prix in Australia saw Checo perform his magic trick of only taking 1 pit stop & managing to maintain his tyres to finish in the points positions. This year was even more impressive as Perez started 22nd due to a change of gearbox & the result stood unlike 2011 when the Sauber team were disqualified for technical infringement. This outstanding performance for Sergio Perez of Sauber Ferrari has produced rumours that Checo - of the Ferrari young driver academy - may replace Felipe Massa during this season if the Brazilian does not improve his poor form. 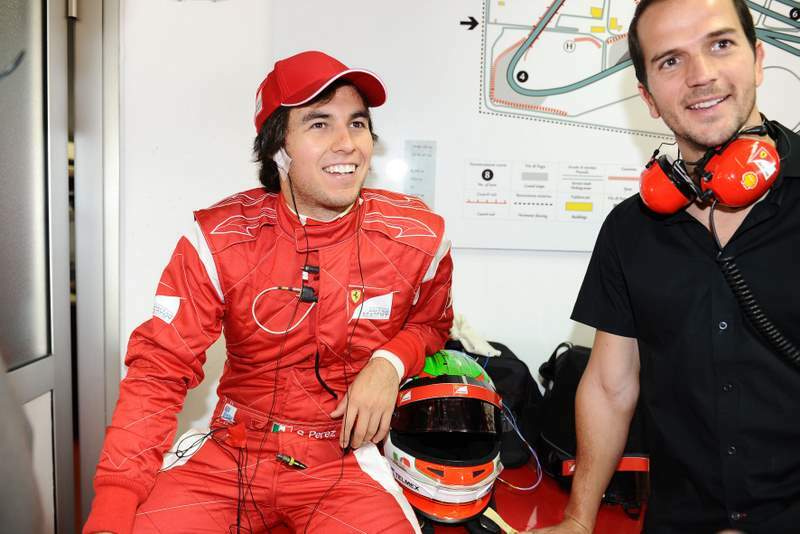 Checo carried out a Ferrari academy day on September 13th 2011 running the Ferrrari F60. Perez according to sources impressed greatly. If you have enjoyed this Rising Star career review of Sergio Perez please leave a comment of Tweet me via the link below. Hey, Im a big F1 fan! At the moment i'm doing my GCSE's and am thinking of doing a degree in motorsport engineering in a few years after my A levels. 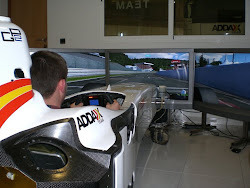 How did you get into F1 with you being an apprentice? Did you go to Uni? By the way I love your blog, I'd love to see Perez along side Alonso. with him being only 22 and putting in some great results in his first season, it would be awesome to see him racing with Fernando. Email me tombart1@hotmail.co.uk Cheers.